Hi Friends! I’m Heather- a wife, mom, author, prayer coordinator, nurse, runner, friend and most of all renewed. I’m so glad you are here! I hope you find this blog inviting, encouraging, uplifting, helpful and hopeful. It has been a long journey getting here but am so thankful for Jesus who allows us to live a life filled with his love and freedom despite our struggles. Have you ever had an encounter with God that changed your life? Our son’s life has changed our lives forever. I may not have all the answers, but everyday I am putting my trust in God as he is guiding my steps. Bottom line, I love Jesus, my family and serving others. Do you desire to learn more about God, learning his heart and everything he has to offer? So do I! This life we live may be filled with much pain and heartache, but I am holding onto God’s promises, embracing this life He has chosen for me that is filled with his love, joy, peace, hope, grace and freedom! I have served as the Spiritual Life Leader on the Protestant Women of the Chapel board in Alaska and lead many women’s Bible studies. I currently serve as The Prayer Coordinator for Trace Church in Colorado Springs, lead a prayer team through intercessory prayer every week, organize Prayer events and humbly serve where God leads me. God is preparing us all for something greater. He has big plans for you! I pray that this blog blesses you and brings you hope and peace wherever you are in your journey. Heather received her master’s degree in Nurse Anesthesia at Villanova University. She works part-time as a Certified Registered Nurse Anesthetist at a hospital in Colorado. 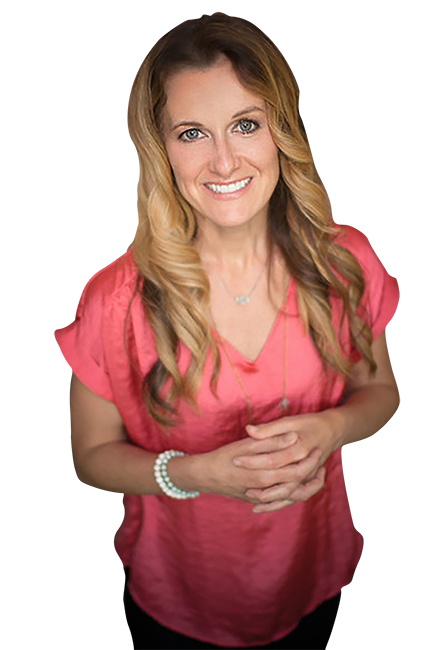 She is author of “Waiting for Heaven: Finding Beauty in the Pain and the Struggle,” and a contributor for “Chicken Soup for the Soul: The Joy of Less” and The Military Family Edition. She writes weekly devotionals on her blog encouraging others in their faith. Heather and her husband Mac, reside in Colorado with their two living children. 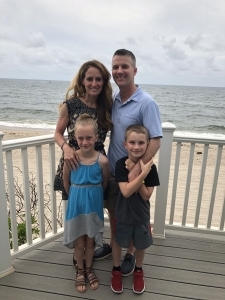 When she is not working, writing, or taking care of the house, you can find Heather running the trails, reading, taking the kids to school and gymnastics, camping with her family, spending time with friends or volunteering wherever God takes her! To read her blog, learn more about Heather and her ministry visit www.heathergillis.com. In 2014, Waiting for Heaven, was released recalling the story of our infant son, Bowen, and our family’s journey with polycystic kidney disease. Through Bowen’s short life and death, my husband and I Mac, discovered the true meaning of God’s love and grace. By telling our story and through this blog, we hope to help others get through the other side of their trials of devastation and loss, by giving hope. It is only through Jesus that we are able to heal whole-heartedly. He has given us a new life, new hope and new beginnings. Only through him can he turn our sorrows into treasured joys. 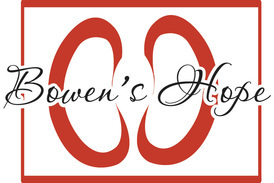 After Bowen’s death, we founded Bowen’s Hope, a ministry serving kidney disease kids and their families, those receiving dialysis treatments at Phoenix Children’s Hospital. For the past 3 years we have been involved with Camp Maska for dialysis patients in Arizona, making goodie bags and volunteering at the camp. We have held book/toy drives, cleaning supply drives and sponsored 13 families last year for Christmas. To date our family has raised over $50,000 for the PKD Foundation in the past 4 years through two silent auction fundraisers, participating in the PKD walks, running races and selling our endPKD bracelets. To find out more of how you can help put an end to PKD and give hope visit www.bowenshope.com.